These charts and statistics are updated monthly based on data from the MLS and the Charleston Trident Association of Realtors. We've included all stats for the tri-county including median sales price, days on market, current inventories, area overviews, and historic trends! In 2017 there were 18,381 closed sales on the MLS, making it the 2nd busiest year recorded in Charleston real estate's history. Keep in mind that for the Days on Market and the % of List Price Received, these averages are balanced by overpriced properties that sit on the market and also those best new listings that go under contract within a week of getting listed for full price (often in multiple offer situations). 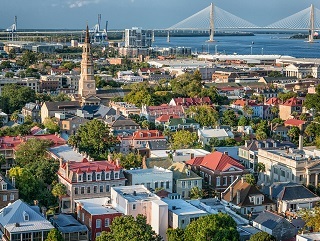 The newer the listing and the better the condition, the less likely a seller is willing to negotiate price in Charleston's strong sellers' market. Looking to Buy or Sell a Home in Charleston? Contact The Keadle Group online or call 800.804.2187 to learn why so many clients recommend their family and friends to us!